There are times when happy accidents occur to make a special event even sweeter. Last Saturday was one, when Igarashi-Sensei decided to allow the no-bogu students to try out bogu shiai. Little did we know that one of our new beginners was celebrating her birthday that day. So to Annabs, we hope that last Saturday was made extra special for you! Here is her blog about her experiences last Saturday. Please enjoy reading it, either here or on her own blog (link below). “I love first times. I want my whole life to be composed of them,” says the dangerously charismatic Lucien Carr to an already infatuated Allen Ginsberg in Kill Your Darlings. Last Saturday was composed of first times for me – first time to wear my gi and hakama, first time to put on a bogu, and first time to participate in a shiai. As with all first times, I was in a state of clueless bliss. I have no clear memory what hadhappened. And all the better because I had absolutely no idea what I was doing. Why didn’t I kiai when I should’ve? Why did I try to find my striking distance by moving backwards instead of forward? Did I even get at least one hit in? I don’t know. But what I do know is that I am lacking. And as I turn another year older, I know that in my Kendo journey, there is no better place to start. via Kendo Chronicles: Of First Times and An Unexpected Birthday Shiai ~ Annabs of Suburbia. This entry was posted in Competition, IGA-Ken News, Stories / Testimonials and tagged Arena Dojo, Arena Fitness Dojo, beginners, Birthday, Igarashi, Igarashi Sensei, Koji Igarashi, shiai. Bookmark the permalink. 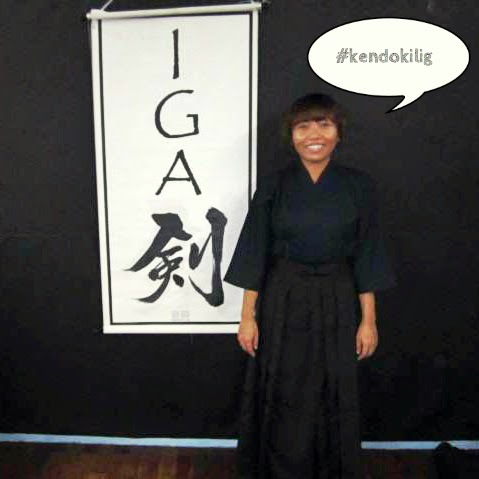 ← IGA-Ken In Iloilo…the Video!